We’re having a good time firing up the grill this spring and along with that come some tasty side dishes. 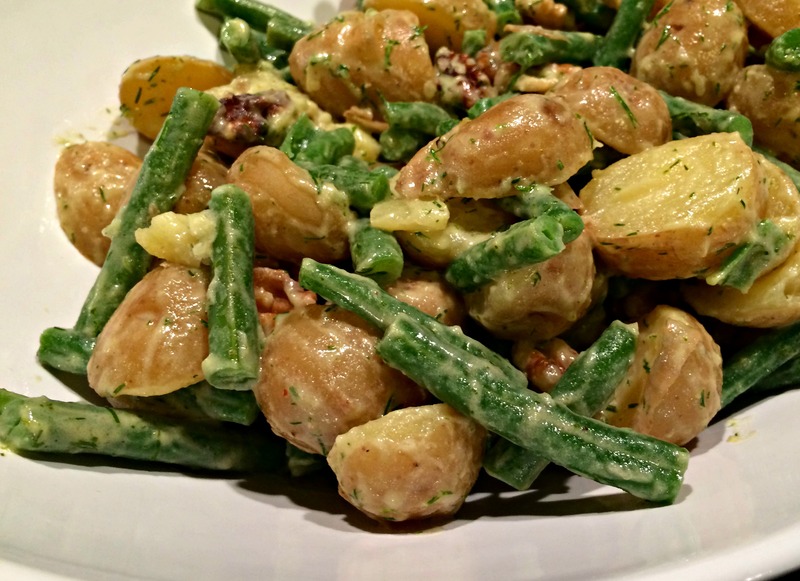 This, I think, is a simple potato salad full of flavor and will especially appeal to those of us that love the flavor of dill. This recipe comes from Lorna Sass’ Complete Vegetarian Kitchen, a cookbook that I’ve had for a while and explored occasionally. But this recipe tells me I should dig deeper! There is no dairy or mayonnaise in this recipe, so I think it would work well for picnics or long afternoons with friends in the backyard. 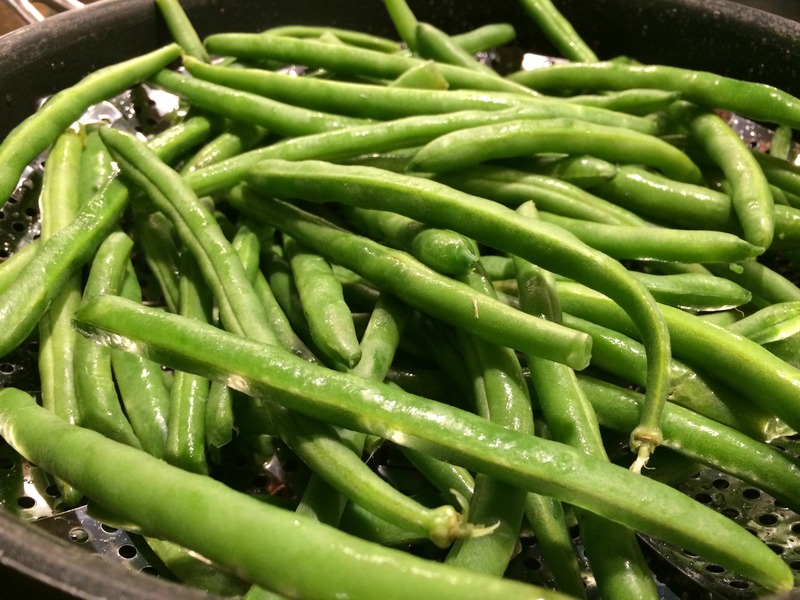 Steam the green beans until they are just tender. Run under cold water or place in an ice bath and drain thoroughly. Cut into smaller bite-size pieces and set aside. 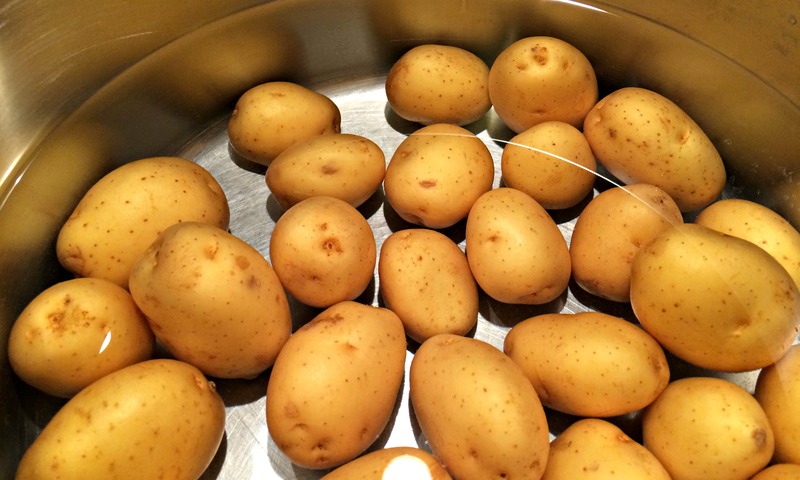 Cut the cooked new potatoes into thick or thin slices, depending on what you like and set aside. In a food processor or a blender, add the oil, dill, mustard, vinegar, salt and pepper. 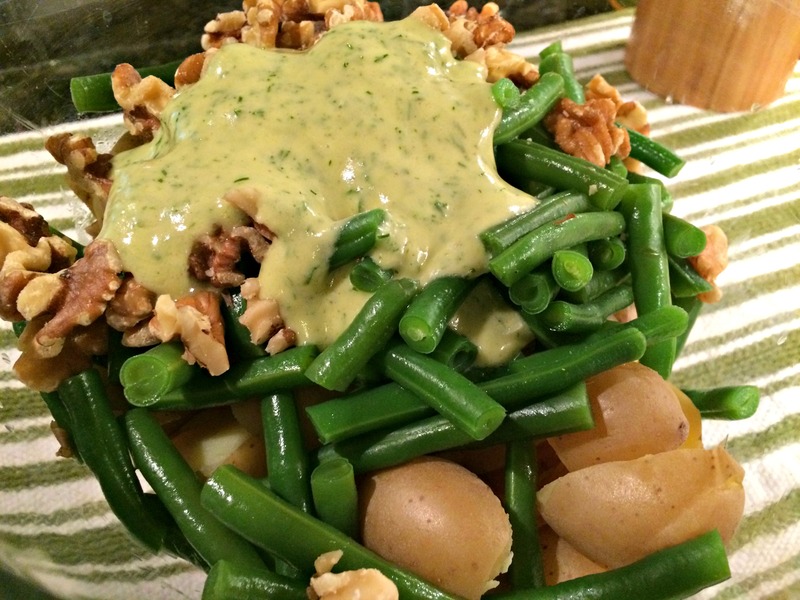 Blend until you get a thick and creamy dressing. Add more vinegar or mustard, to your taste. 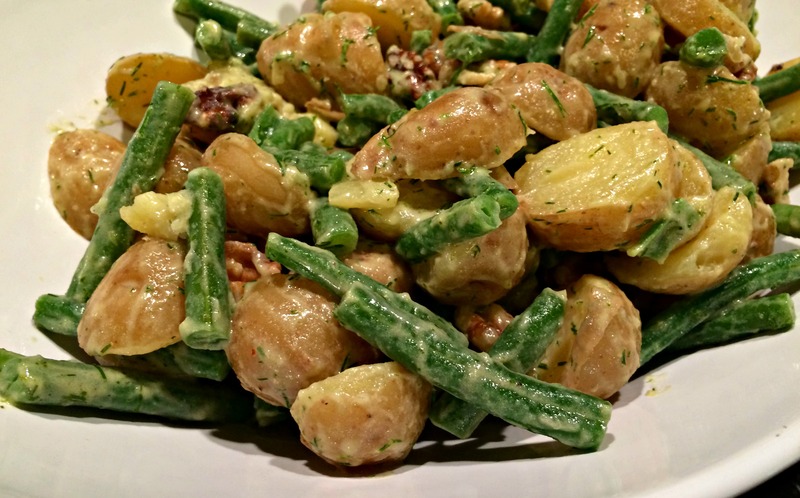 Add the potatoes, green beans, walnuts and dressing to a large bowl. Carefully toss until well mixed. Let the salad marinate for at least an hour at room temperature before serving. Just the thing for the potatoes and green beans I’m growing this summer.